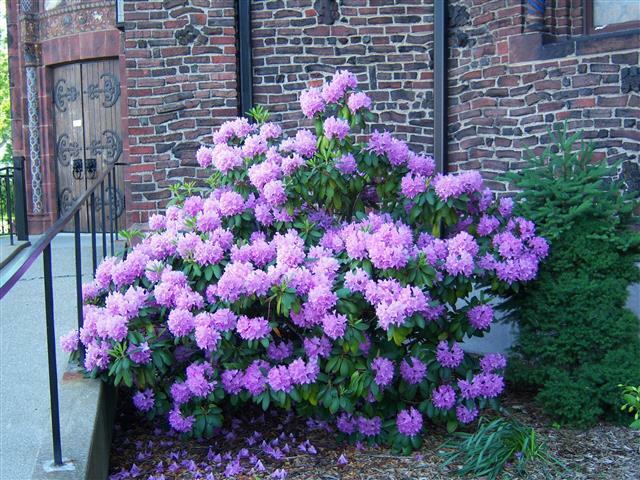 Rhododendron in church’s east side garden. Sunday, June 9 following the 10:00 a.m. Mass ~ Reception honoring First Communicants in St. Charles Hall. Thursday, June 13 at 8:00 p.m ~ Bingo will be played in St. Charles Hall. Saturday, June 15 at 8:00 p.m ~ Bingo will be played in St. Charles Hall. Sunday, June 16 following the 10:00 a.m. Mass ~ Coffee Hour in St. Charles Hall hosted by Generations of Faith Program. Sunday, June 9 ~ Baptism of Quinn Corrigan Brunscheidel at 1:30 pm. Monday, June 10 ~ Communion Service at 11 a.m.
Congratulations to David Iheke and Keith Wilson who made their First Communion on Saturday, June 1, at St. Joseph University Church. This year Keith and David participated in the sacramental program with the children at St. Joseph’s. On Sunday, June 9, at our 10:00 Mass, David and Keith will join with our Blessed Trinity Parish Community to receive Communion. The Annual Mission Cooperative Collection takes place on June 15/16. Sister Susan Bowles of the Sisters of St. Mary of Namur will speak with us at the weekend Masses about the mission work of her community. The Namur Sisters, an International Congregation, have missions in four countries in Africa, one in Brazil and one in the Dominican Republic. Please use the July 7 envelope in your packet labeled “Mission Co-op” in the second collection on June 15/16 to support this missionary work. Thank you. The Juneteenth Parade will take place on Saturday, June 15. The Central City Churches are hoping for a good representation of “marchers.” Participants will meet at St. Martin de Porres Church, 555 Northampton Street, at 9:00 a.m. Transportation will be provided to the parade starting site. Juneteenth, also known as Freedom Day or Emancipation Day, is an American Holiday honoring African-American heritage and celebrated by people of all ethnic and racial backgrounds. It commemorates the announcement of the abolition of slavery in the U.S. State of Texas in 1865. Celebrated on June 19, the term is a combination of “June” and “nineteenth,” and is recognized as a state holiday in 36 states of the United States. Coffee Hour on Sunday, June 16, will be hosted by participants in our Generations of Faith Program. Summer in the City, organized by the churches of Central City, will take place Sunday, August 4, at Ss. Columba-Brigid Church, 75 Hickory at Eagle. There will be a planning meeting for this summer fun event on Tuesday, June 18 at 6:30 p.m. at Ss. Columba-Brigid. There is a need for many volunteers to attend this meeting if we hope to organize a volunteer schedule (two hour shifts) to work at the parish food tents, and to help with set-up, parking, serving and clean-up, etc. There is a sign-up sheet on the altar railing near Mary’s shrine. Please consider volunteering to help with this event. Path Through History Weekend Open House. Thanks from the Music Committee ~ A special “Thank You” to all of the folks who donated cookies, attended the concert, or helped with the reception for the Arts Academy Choir concert last Sunday. The music was excellent, and the choristers enjoyed the refreshments and our hospitality very much. A special note of gratitude goes to Frank Scinta, director of the choir, for bringing his wonderful group of young singers to BT for this final concert of our 2012-13 Trinity Series. The performance was enjoyed by all! Retro PraiseSong ~ Come and sing the Lord’s praises with the “groovy” songs from the 60’s & 70’s! 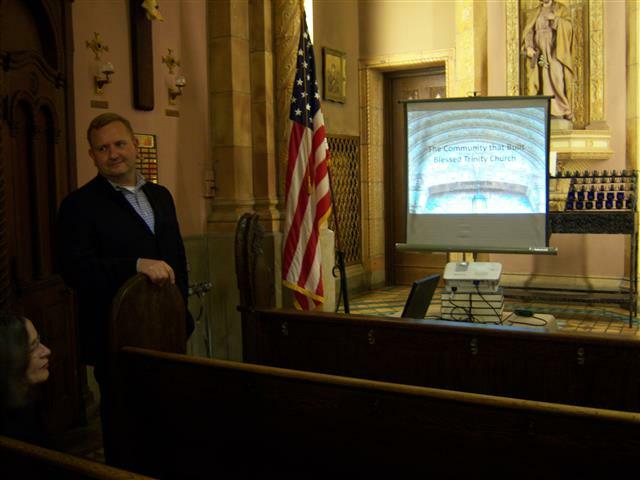 Friday, June 14, 7:30 p.m. at Blessed Sacrament Church, 263 Claremont Avenue, Kenmore, NY 14223. Everyone is welcome. The Catholic Cemeteries are continuing their “Spring Savings Event.” All six Catholic Cemeteries — Mt. Olivet, Holy Cross, Holy Sepulcher, Gate of Heaven, Assumption and Queen of Heaven – will be offering savings of up to $500.00 off a burial space and other discounts now through June 30. Call the Catholic Cemetery office at 873-6500 for more information. Volunteer Opportunities at Sisters Hospital ~ Guardian Angel Ministry Program: The Long Term Care Homes of the Catholic Health Care System in WNY are currently expanding our Guardian Angel Ministry Program. This unique and challenging ministry provides companionship for residents as they enter their final stages of living. This distinctive End of Life Program, offers support for family members who are unable to be with their loved ones during the overnight hours (11 p.m. – 7a.m.) as the resident approaches death. The program is designed to give families a brief respite and peace of mind knowing that someone is offering spiritual support and companionship to their loved one. The loved one will not die alone. Volunteers sign up for a 4 hour shift and average no more than being present one shift per month. For more information or to volunteer, please contact: Chaplain Jonathan Moran at Saint Catherine Labourè 862-1538.